A new study from researchers at the University of Arizona and the University of California-Los Angeles has found that the strain of flu virus to which you first become exposed may determine how likely you are to become seriously ill or die in a later infection. Different strains of the influenza virus spread in different years. Your body is imprinted by its response to your first infection. The finding, which focused on two strains of avian flu virus, may suggest new and better ways to protect public health during serious flu outbreaks. “We're not a completely blank slate when it comes to how susceptible we are to these emerging flu viruses,” said the University of Arizona’s Michael Worobey, one of the two senior authors of the study. The first time you are exposed to the flu virus, the immune system makes antibodies that target hemagglutinin, a receptor that sticks up from the virus like a lollipop, the authors explain. And each of the 18 known subtypes of influenza A falls into one of two “lollipop flavor” groups. “Let's say you were first exposed to a human 'orange lollipop' flu as a kid," Worobey said. "If later in life you encounter another subtype of flu virus, one from a bird and one that your immune system has never seen before but whose proteins also are of a similar 'orange' flavor, your chances of dying are quite low because of cross-protection. But if you were first infected with a virus from the 'blue lollipop' group as kid, that won't protect you against this novel, 'orange' strain." Worobey said further research can examine the way the flu virus is imprinted by the body and how to address it with a vaccine. You can be infected by the flu virus through direct contact, such as a handshake with an infected person, contact with objects used by an infected person, or by droplets from an infected person’s sneeze or cough. The symptoms are worst for the first three or four days, but it may take a week or two to fully recover. For most people, it’s wise to get a flu shot each year. Talk to your health care provider about it. 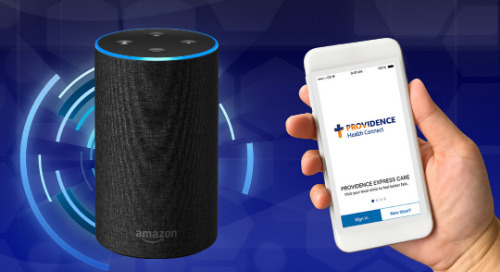 You can find a Providence provider in our multi-state directory. We’ve written previously about the influenza virus. You also can read about seasonal flu in the Providence Health Library. The study, “Potent protection against H5N1 and H7N9 influenza via childhood hemagglutinin imprinting,” was published in the journal Science. A reader-friendly story describing the study was published by the University of Arizona.